What exactly are categories and tags? What purpose should they serve for the reader? Should they each just be one word? How do tags and categories relate to each other? And what does all this mean for optimizing your site for search (SEO)? Categories are like the aisles in a grocery store and tags are like the ingredients in the various different foods. Chinese chili sauce is located only in the ethnic foods aisles, but garlic (an ingredient) is found in the chips aisle, the frozen dinners aisle, and the vegetable aisle. Examples of useful tags include “no-kill dog shelter,” “adoptable dogs” and “Australian cattle hounds.” Examples of bad tags include “dog,” “shelter” and “transportation.” The idea is to write tags that are highly specific and can stand on their own. This way, your readers can find the content they’re looking for much more quickly. Plus, someone looking to adopt an Australian cattle hound will never type “dog” into a search engine. Put your readers before anything else. Ask yourself this: If someone clicked on your tag, will the tag archive be what they’re looking for? Use existing tags first. To avoid redundant tags, use an existing tag before creating a new one. WordPress makes this easy with an auto-complete feature and a tag-cloud; both display tags you’re already written. Make a regular habit of deleting tags that are redundant or too general. Search by topic in your tags panel and weed everything out until you have a few highly specific tags for that topic. 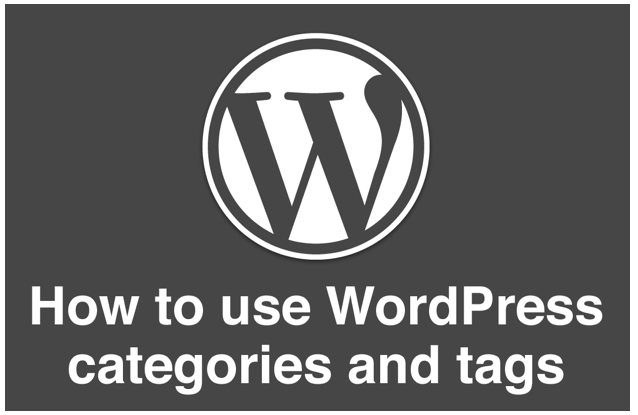 If you do use WordPress, there are several plug-ins that can create powerful experiences for readers using tags. Configurable Tag Cloud and Opacity Tags are my personal favorites. If you need to delete unused tags, check out the Mass Delete Unused Tags plug-in. A dog shelter blog I recently visited included the following categories in the sidebar: “Hairy,”,“Declawed,” “Thoughts.” The problem with these categories – and it’s a very common problem – is that they don’t help the reader. Categories help you communicate to readers what your blog is about. And if people can’t figure this out, they will quickly leave. Categories can be used to create a hierarchal navigation menu in your header or sidebar that quickly communicates the topics your blog covers. Categories help you control where people click on your site. Don’t forget that the purpose of your website is to direct visitors down specific paths of action. You decide which categories to include in your navigation. You decide which categories to display on specific sidebars within your site. Categories help you get found on Google. Google uses your categories to help index your website content. Google also looks at the topical relationship of all your categories as well, so the dog shelter mentioned about might move their “Thoughts” content to another blog. Make them clear. Edit your categories so that they are broad enough to cover the larger topics you blog about, but specific enough so that people can know what they’re going to get when they click on the category page. Consolidate categories. Through the process of renaming your categories, you will no doubt find useless categories. Remove the posts from these categories, put them somewhere else and delete these useless categories. Clean your slugs. Slugs are the simple URL structure associated with the category. Remove words like “a” and “the. This will help improve the URL structure for search engines. There are also plug-ins to help clean up your slugs. Start another blog. If you find yourself writing blog posts about topics unrelated to your website, consider starting a different blog, perhaps one just for your personal take on things. Again, your readers and Google look for the prevailing themes of your blog when deciding to subscribe or rank. If there’s not a cohesive theme, you’re in trouble. Optimizing categories and tags on your site is a lot of work, but the enhanced search rankings and enhanced reader experience are well worth the toil. How are you using categories and tags?